Storage | Glee: What to do with an old Canoe? What to do with an old Canoe? While these two options likely never touched water, i am sure any competent craftsperson could turn your old canoe into a bookshelf. 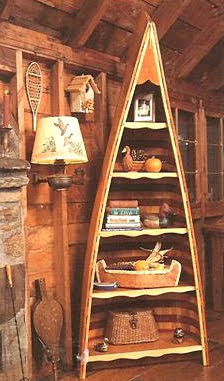 A little on the cliché side of storage, it would certainly earn credibility if you made it yourself.